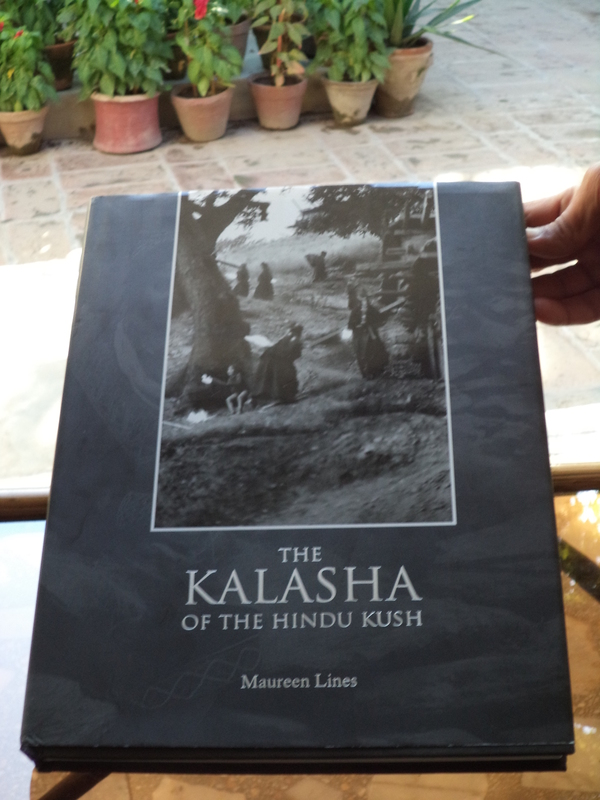 THE KALASHA OF THE HINDU KUSH is a photographic journey of thirty odd years through the Kalasha valleys. Mercifully, it is indeed a photographic book. The written text has been limited to just the essential information for the reader to be able to enjoy the book without having to digress from the visual enjoyment to assimilate a load of anthropological data. The photos are unique, including some black and white, and one of the most interesting features is that they show the obvious evolution of the Kalash in regards to houses and dress. The essay on carvings and architecture is fascinating and was inspired by the British Academy, which once gave Maureen a thousand pounds to investigate and write about carvings. Carvings are prominent in Kalash jestakhans (temples). She has also put the Kalasha Valleys in context by putting in photos of Peshawar, the Malakand, Chitral and Nuristan. This book has been produced in the memory of a remarkable man the late Minoo Bhandara. He was first and foremost a highly successful businessman who ran Murree Brewery the only brewery in Pakistan (which also produced Whisky some of which was quite remarkably good and made it into a book on fine Malt whiskeys).To achieve that in a country where Alcohol is certainly not encouraged was an achievement in itself. At times political pressures were strongly against the Company and its products so Minoo embarked on the production of fruit drinks and Jams with considerable success. However, perhaps on the principle that if you can’t beat them join them, he also became a politician and then became that rarity in Pakistani politics an honest politician. His family are Parsee, a minority religion like the religion of the Kalash and Christianity, and became Minister for the minorities. Thus began his association with and subsequently respect for the Kalash people whom he tried to help as far as possible during his period as Minister. Hence this lovely book in his memory.